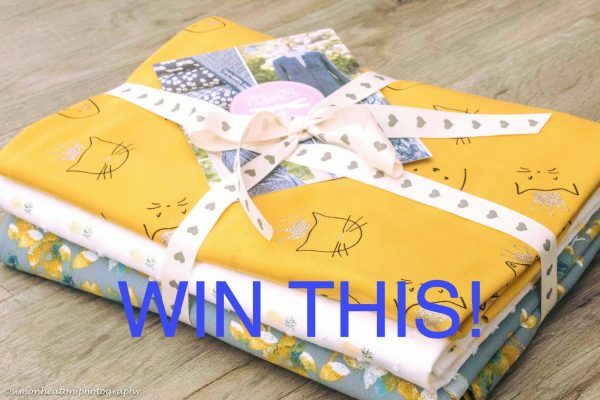 Home/Great British Sewing Bee 2019, Uncategorized/Great British Sewing Bee – Episode Seven – World Sewing Week, A Great Giveaway Plus A Mother’s Day Special Offer! What an exciting Semi Final it was! The theme was World Sewing Week, with fabrics and patterns from all over the globe. As this topic covers such a wide range, and with it being Mothers’ Day this weekend, we have decided to offer you 15% OFF ALL ORDERS this weekend if you use the code MothersDay – and you can start using it now! To tempt you, we have have a selection of fabrics below that are inspired by influences from around the world. 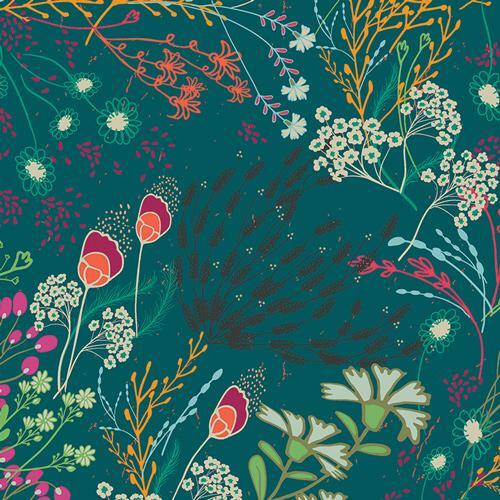 Firstly our gorgeous Art Gallery Rayon Meadow Bold features meadow flowers in sumptuous, jewel-bright colours that give it an oriental feel. 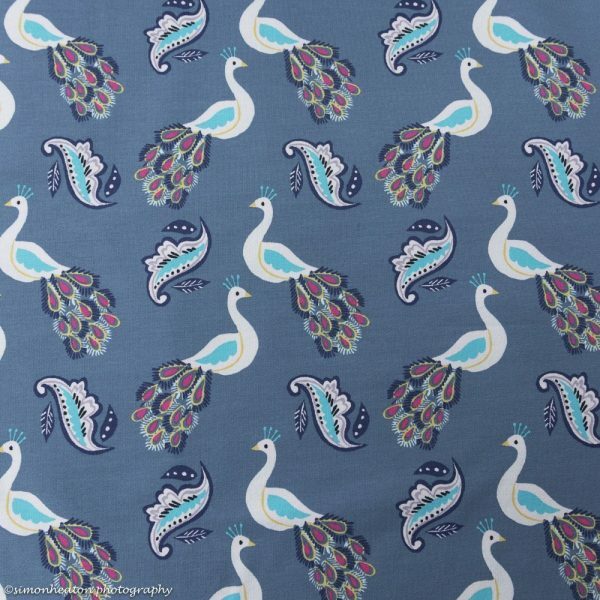 Inspired by the birdlife of Asia is this fabulous Peacock Print French Terry, which is Oekotex 100 certified. 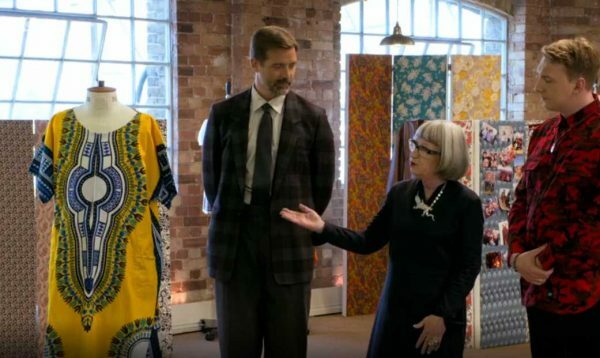 Back to the Sewing Bee, and as always, the first task for the contestants was the Pattern Challenge. This week they had to make a pair of Indian Dhoti Pants. The judges told contestants they wanted to see accurate pleats on the front (Patrick threatened to get his tape measure out) and exquisite finishing throughout. To make it harder the pattern was very minimal – just one page with limited instructions and no diagrams. The judges commented that the choice of fabric was important, they needed a fabric that draped well but would still hold it’s shape. To this end Juliet, Riccardo and Leah went for cotton, whilst Jen opted for silk. Juliet and Leah initially both made the same mistake in sewing the legs together to make one big tube. However, Juliet carefully unpicked her seam before re-sewing, but Leah just cut hers off! Jen won this challenge – the judges felt her pleats were absolutely spot on, the waistband was beautifully top-stitched and overall it was pretty faultless. Juliet was second and Ricardo third. Leah was last – her pleats were not evenly spaced at all and her pants had an unfortunate ‘hungry bum’ effect which was probably due to her cutting off that errant seam! Pleats can be difficult to master (as Leah found), but this pleat tutorial can help make the process easier. 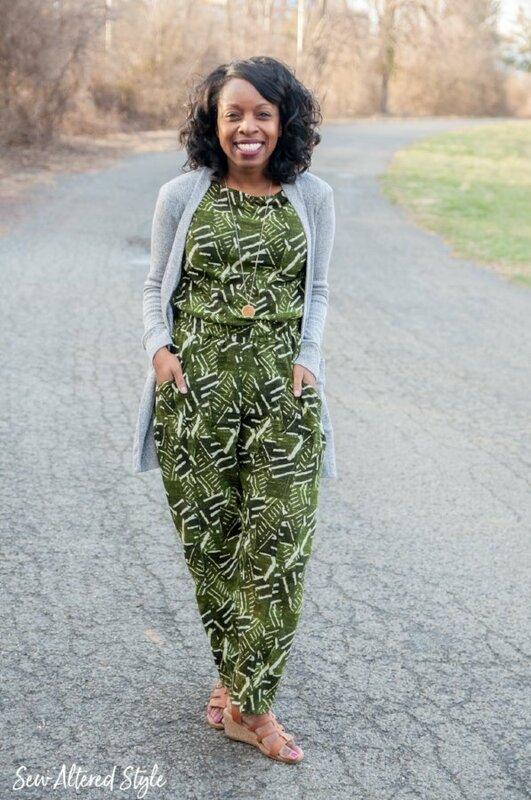 If you like the relaxed, slouchy look of the Dhoti pants, but want something a little more wearable in day-to-day life, why not look at the Arenite Pants pattern from Sew Liberated. For the Transformation Challenge we headed to West Africa. The contestants were asked to transform a traditional printed dashiki garment into something completely different. The judges wanted contestants to incorporate important elements such as the border prints and the central images into the new garment in a creative way. Leah won this challenge – she made an asymmetric maxi dress with a pleated skirt. The judges thought her dress was very dramatic and liked the way she utilised the central image for the neckline. Juliet made an one shoulder top with a peplum and a matching skirt for second place whilst Riccardo made a striking dress with a flash of pattern coming out from one big pleat at the front for third. Jen came last in this challenge – she made a pair of shorts with a matching shirt. Whilst the judges liked how she used the pattern round the neckline, Patrick didn’t like the way the cut of the shirt focused a lot of attention on the crotch area! Finally, for the Made to Measure Challenge the contestants were asked to make a top that was inspired by Japanese origami. The judges pointed out that the contestants would have to choose a fabric that had enough body to take a sharp crease, but was still fine enough to create a delicate effect. Juliet and Leah opted for cotton fabric, but Riccardo opted to use organdie and Jen choose silk. This week all the sewers drafted their own patterns. Leah made a top with an collar folded accordion style and a pleated front panel with contrasting spots and stripes in navy and white, plus a red zip and contrast stripes. The judges said it looked very nicely made, was beautifully balanced and precise, although Patrick thought the back was a little too long. Juliet created a spiral origami bodice with ruched sleeves in yellow cotton. Patrick thought it was visually impactful and that the proportions worked well although Esme felt it needed a bigger bow at the back. Jen’s entire top was crafted from one piece of lavender silk that folded down to make a bodice with subtle three dimensional textures, a pleated collar and a hidden pocket. Her initial pattern looked very exciting, but sadly the delicate silk was not a good choice as it got bruised and wrinkled in the construction process spoiling the crisp origami effect. Riccardo said he was inspired by something he thought pop singer Bjork might wear. His top featured a dramatic folded diamond at its centre and used white organdie fabric. The judges felt he had totally fulfilled the brief – the final garment was very sculptural yet delicate. They felt it thoroughly deserved “Garment of the Week”. The judges were very torn about who was to go home, but eventually opted for Jen, which was a bit of a shock to viewers, as she had produced very consistent work until this week. 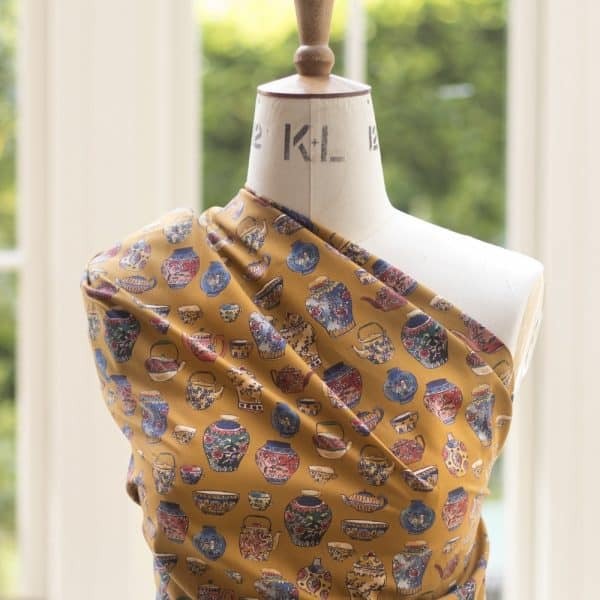 If you were inspired by the Made to Measure challenge, we have found a fascinating website, that has plenty of inspiration for those wanting to create their own origami style garments (perhaps this is where some of the contestants got their ideas from!) They also have a couple of interesting tutorials on how to incorporate accordion pleats into garments and how to incorporate origami petals into a bodice. 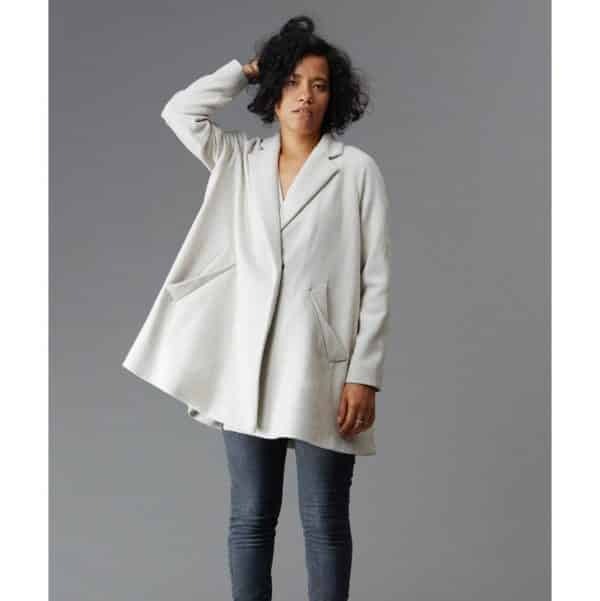 The Deer Doe Opium Coat has origami welt pockets and this would be lovely in some of our Boiled Wool. We are all looking forward to next week’s final – who do you think will win? !